Jensen Ackles in an episode of Supernatural where he gets pulled back to 1944 always reminds me of Brian. This week I’m working at the Canadian Film Centre with some truly awesome screenwriters – Ellen Vanstone @ellenvanstone, Noelle Carbone @noelcarbs and Tara Armstrong. One of the things that has come up at this stage of this pilot script is character layers. Now thankfully, everyone agrees that Portia has a lot of layers and a lot going on both on the page and hopefully, someday on the screen. We even agreed that Annie’s backstory with her twin brothers, travelling father, fighting for a foothold in the London press provided a strongly layered character. The character that seemed to have less going on, literally, was Brian Dawes. Brian is just the prototypical nice guy in my books. He doesn’t have a lot of conflict and he doesn’t change much between book one and book three. He supports Portia (because it’s right), he does his job well (because he’s good) and he loves his parents (because you should). I remember when I was writing him that I wanted there to be one character who was totally normal, but I think he might be TOO normal. What is his ultimate goal? Where does he see himself in 10 years? 20 years? My next blog post will answer some of those questions and more and hopefully, feed into this script! Check it out on Wattpad! When I joined Wattpad a few months ago I was using it as a reader, enjoying the fan fiction and original writings posted by thousands of people. I finally decided to contribute to the Wattpad bookshelf, and have put out the first chapter of a story told from the voice of Constable Dawes. It’s kind of Jewel of the Thames as told from his point of view (the original as you know is told from Portia’s POV). It’s called And in Walked Portia Adams. Anyway, it’s a bit of an experiment, and I don’t know if I’ll do the whole book or just certain scenes where I think Brian’s POV adds to the overall character development. 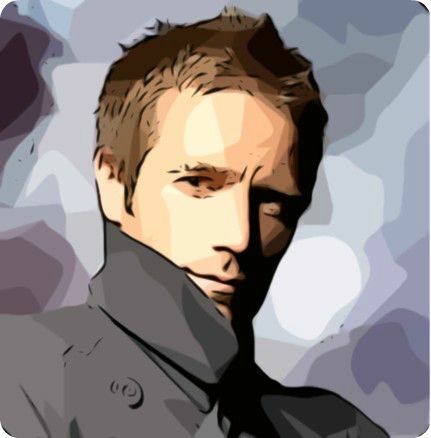 Coats & Jackets for Men & Boys – fashion for Gavin, Brian and their contemporaries! As I am writing this post that title is exactly how I’m feeling. Jewel of the Thames just came out day before yesterday, and the book launch is on Friday, so most of my attention and writing have been focused on promoting it and the events around it. Thing is though, I had to share a bit about the new casebook I started while in France two weeks ago. My husband has a thing for World War locations, so the first four days in France were spent travelling all over Normandy, from Vimy Ridge to Juno Beach. Suffice to say, as much as I enjoy museums and such, climbing into trenches and imagining the bloody warfare is not so much my cup of tea. 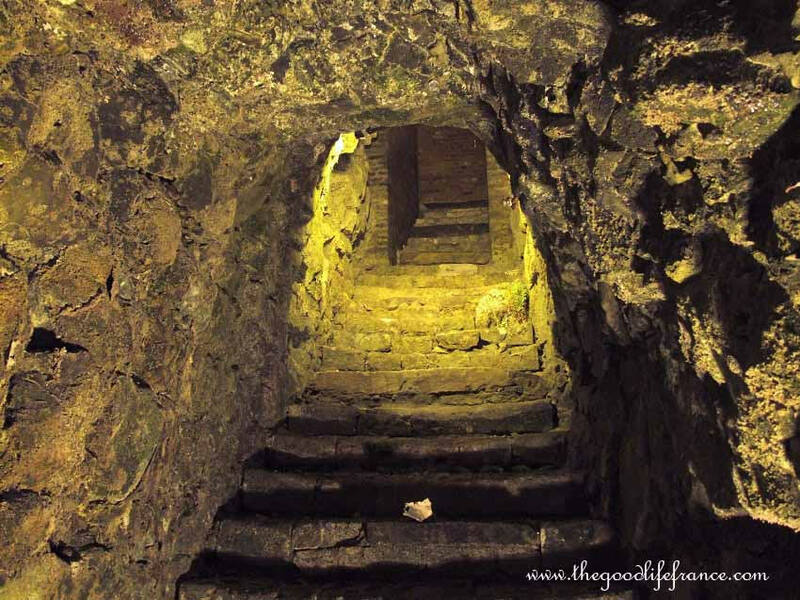 The stairs leading up and out of the mines and into the surprise attack! That is until we got to Arras. If you don’t know the story (and don’t be embarrassed, I didn’t know it either), Arras was a key battlefront for the British/Allied forces. The Brits decided to take advantage of the chalk mines beneath the city to tunnel their way into the German’s backyard and catch them unawares. Yes, I believe it was as crazy as it still sounds. What this meant was that a crew of mostly New Zealand miners tunnelled under Arras, linking up chalk mines for six months, averaging 80 metres a day. Their amazing hard-work eventually allowed for 24,000 troops to amass under Arras waiting patiently until they emerged in the early morning of April 19th, 1917 to begin the battle of Arras. I got to thinking about these mines and all those men down there, and a story started to form in my mind about Brian Dawes finding himself trapped down here almost 14 years later in the abandoned passages. I’ve tentatively called it ‘The Constable’s Case’ and it’s told from his point of view. In the order of casebooks, I’m placing it after casebook 10: Clear as a Bell. I’m starting a new category in this blog for character profiles (you can find them all here), and I think I’m going to start with Constable Brian Dawes, seeing as he is so central to the next casebook I am writing. You might ask why I don’t start with the heroine of my series, Miss. Portia Adams, and the answer is that I did one for her when I first launched this blog, and you can find it in this post titled Keeping track of it all. AGE: in 1929 he is 24-years-old, therefore born in December 1905. PHYSICAL DESCRIPTION: Brown eyes, 6’2″ tall, slim but athletic build, dark thick hair, dimples when he smiles, which is often, with a kind handsome face. In the latest casebook (8) he exhibits some minor form of claustrophobia while trapped in the bank vault. EDUCATION: Basic schooling in London, joined Scotland Yard as a Constable in 1929. PREFERENCES: Prefers beer over wine, favours pork over other meats, enjoys wide range of vegetables, but only really likes strawberries in the fruit category. He is also an Arsenal football fan. SOCIALLY: Has both parents living in the downstairs apartment of 221A Baker Street with him, neither of who work, and whom he therefore supports. His girlfriend is Annie Colson, whom he has been dating since 1930. For Portia, I am currently imagining someone like Emma Stone with darker hair. She seems to be highly intelligent, which comes across in her eyes and the way she speaks and I don’t know how to explain it, but while she is pretty, she doesn’t seem over-the-top Photoshopped… if you know what I mean. Anyway, she is who I imagine when I think about Portia. 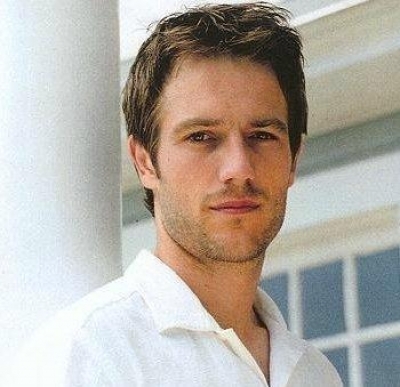 For Constable Brian Dawes, I think of a young Michael Vartan, probably even before his Alias days. He has the right combination of trusted boy-next-door looks and intelligence, while holding so much emotion in his eyes that he can compensate for Portia’s social ineptitude. Rosamund Pike (I mean the girl has played both Helen of Troy and Jane Bennett on the big screen, she’s obviously the perfect woman) and Booth’s girlfriend from Season 6 of Bones, an actress by the name of Katheryn Winnick. Katheryn is another one of those actresses who can pull off super-smart, but she’s more approachable than Rosamund, which Annie would have to be, so somewhere between these two women is where I imagine Annie. I don’t know how bright Adam Baldwin is in real life, but he seems to play characters with more testosterone than neurons (no offense, Sir! they are also some of my favorite characters). He is who I have in my head when I write Sergeant Michaels though with about 20lbs more fat on his body – specifically his portrayal of Jayne in the Firefly series. My last two characters I need to imagine (specifically for the Reception scene at the beginning of Book 5 which I struggled with) are Dr. Beanstine and Dr. Benjamin Charles. Dr. Beanstine is super-easy – I always imagined Joshua Malina from his days on The West Wing – he was crazy smart, good-looking in that dorky way, and he somehow managed to steal scenes from actors with twice his experience. Put Malina in a sweater-vest and I swear, he’s totally Beans. Probably Beanstine is even more socially awkward than Will Bailey in the West Wing, but its the right direction for sure. You always underestimate Will and then you see him run 10 miles, flex his muscles and date the gorgeous blonde National Security Advisor. He’s kind of awesome, and you don’t even know it. Dr. Benjamin Charles is an interesting conundrum because he’s darkly dangerous and appealing to Portia, so he can’t be too good looking, nor can he be anything like his foil, Constable Dawes. I initially had in my head Spike from Buffy, but he was too extreme. 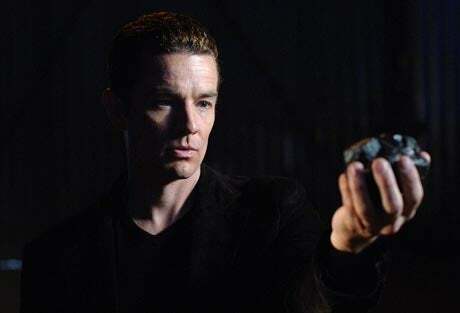 Marsters exhibits the correct mix of dark evil and sympathetic persona that I see in Dr. Charles. Problem is he’s a little TOO on the nose… its almost like it would be hard for Marsters NOT to seem evil – with those glass-cutting cheekbones and vicious wit.. So that leads me to someone a little less obviously evil, someone more like Alex Krycek from the X-files – as played by Nicholas Lea. When you in your mind place Nicholas Lea next to Michael Vartan, it is interesting how much they have in common and how much it is clear to me that Vartan plays the good guy and Lea plays the bad guy. Maybe I haven’t seen enough footage of them playing the opposite, but when you put Portia between those two guys, I can see her being attracted to both for different reasons. Characters I don’t have clear pictures of in my head: Sherlock Holmes (age 75), Irene Adler (age 74), Mrs. Dawes, Elaine Barclay and Ruby.